We, At Flex Taxis understand that a business must deliver value in order to transform the good to the great. That's what creates trust and belief in our services. And to make it more infectious we aim to provide you with the highest level of assistance across our range of services. If you have a specific travel direction, we offer you point-to-point journey option. You will be asked to indicate a pick-up location and a destination location of your choice while booking a transfer. Our transfer service enables you to travel not only around the UK but also to any other country worldwide. Seeking to fulfil your needs, we offer you a flexible hourly booking option. The duration of your journey may vary from 3 hours up to as many hours as you require. Hourly booking differs from transfer service as you can manage your journey while enjoying a drive. We are ready to fulfil any special need you have in mind! Whatever transportation needs you have we have the ride for you. We provide safe and reliable low cost airport transfers all around the world. Flex Taxis provides comfortable, reliable and cost-effective services to and from all major airports in London including Heathrow, Gatwick, Stansted, Luton and London City Airport. We understand to get to the station to catch a train or get back from the station might be stressful. 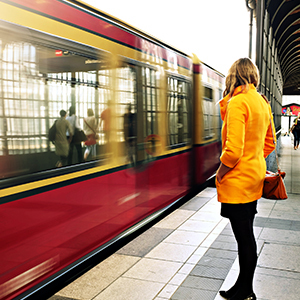 Don't worry as we are here to provide reliable and on time station transfer service every time. The best part is all our prices are fixed, so you don’t have to worry about the staggering charges of metered taxis or the waiting charges due to traffic jams. Make your best day memorable with our luxurious vehicles and make a unique and impressing appearance. With our wedding shuttle buses, rather the cost of multiple coaches you can select from a range of vehicles and do multiple trips to save money. Let us take care of you and your guests. Whether it is a pre-wedding dinner, taxis for the wedding party, we will ensure that all your guests arrive on time. Our Corporate and Executive chauffeur service is unparalleled in terms of professionalism and reliability. We are proud for offering a professional reliable service with quality vehicles and friendly courteous drive. Our drivers can be hired by the journey, by the hour or by the day. Our professional drivers arrive several minutes prior to your specified arrival to ensure that you do not need to wait. • If you're looking for a reliable taxi service, look no further than Flex Taxis. We provide timely local taxi service and airport transfers across Hertfordshire and Essex. • Get in touch with our friendly team for taxi booking today. • Whether you’re going a long way or travelling locally, choose Flex Taxis. Whatever your transport needs, we can provide you with a competitively priced, friendly and professional service. • We have a fleet of safe and comfortable taxis that are available 24 hours a day, 7 days a week. • Our services are available regionally in Hertfordshire and Essex and locally in Broxbourne, Hoddesdon, Waltham Cross, Cheshunt, Ware, Nazeing, Hertford, Stanstead Abbotts and neighbouring areas. • Whether you're looking for single journeys, regular runs or on-demand contracts, contact Flex Taxis. • We provide services 24 hours a day, 7 days a week (including Christmas). • If you need regular taxi services, get in touch with our friendly and professional team today. • You can hire us for single journeys, regular runs or on-demand contracts. • Our priority is to provide customers with a reliable, safe, prompt, friendly and courteous taxi service at all times as well as value for money. • This is reflected in our belief in putting the customer first. • At Flex Taxis, we have a team of qualified, dependable and courteous drivers. • All our drivers are Hackney carriage licensed by their local authorities. • All drivers are CRB and approved by the local authority. 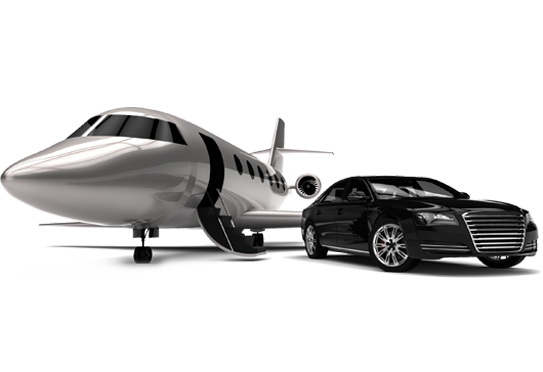 • With our qualified and experienced professionals, we provide reliable airport transfers to all major airports. We also provide timely courier services. • Flex Taxis operate 7 days a week and are always available for local and long distance journeys, as well as Airport Transfers and links to railway stations, sea ports and other places of interest. • In addition to meeting all your day to day taxi needs, we also offer airport transfers, executive hire and taxis for special events such as weddings. • Get in touch with us today to find out more about our reliable transport and how we can help you with a wide range of occasions and travel needs. • Flex Taxis provides comfortable, prompt, reliable and cost-effective services to and from all major airports in London including Heathrow, Gatwick, Stansted, Luton and London City Airport. • With Flex Taxis you needn't worry about missing your flight as we will have you there on time. You can enjoy the rest of your trip feeling relaxed and comfortable. • When you need to arrive promptly and get safely to your destination, choose us. • Make sure that your air travel is as relaxing as possible with our highly convenient airport transfers. Whatever your transport needs, Flex Taxis can provide you with a competitively priced, professional and friendly service. Prompt, flexible and reliable service. Night services for nightclub and pub customers. Ride with our fully licensed and insured professional drivers for every arrival and departure of your journey. Make the every of your transfer journey memorable with us. With all the interior comfort and sleek design of our vehicles combined with our service exclusives, you’ll enjoy a seamless journey. Get rid of rushed and fraught journey as flex Taxis is always available with chauffeur driven service for any last-minute, inevitable changes.